Germany, France, Japan, and Italy. "Infants and American Sign Language: Tiny Hand-Signs Breaking Strong Language Barriers"
Jessica D. Lovett is an author, public speaker, and avid reader, who has long been passionate about writing books for both adults and children. She is also a musician who plays the guitar, piano, and flute. She holds a master’s degree in humanities with an emphasis in creative writing from Tiffin University and a bachelor of arts degree in literature from Howard Payne University. Currently, the author and her husband are building a fledgling homestead with their two young children, which hosts a gigantic white dog, a Bearded Dragon, a growing flock of Easter Egg chickens, and a chicken-herding cat. Transplanting Hope is available here. Email electricmirage@gmail.com for more information. Author photo by Jane Gibson Photography. 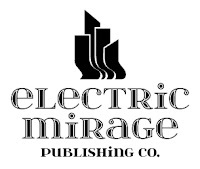 Electric Mirage Publishing logo by Apoterra Design. (C) Jessica D. Lovett. Powered by Blogger.